Hong Kong/Shanghai, China – October 12, 2016 – Danny Khursigara was signed as an Producer in a new documentary short film from DNA Films® titled “The Soul of Success: The Jack Canfield Story.” Four-time Emmy Award winning Director, Producer and Filmmaker Nick Nanton is gearing up to direct this upcoming documentary about the life and legend of Jack Canfield, a Best-Selling Author® and the most recognized success coach in the world. As a Producer, Danny is invited to participate in the filming of a live, intimate interview with Jack, where he will reveal his secrets to success and will attend a private dinner celebration to wrap up the filming with Jack Canfield at his Santa Barbara home. “The Soul of Success” will begin principal photography on location in November of 2016. Danny Khursigara is a career banker and a Certified Success, Life & Executive Coach, Speaker, and Trainer. He most recently won a coveted Quilly® Award for becoming a Best-Selling Author® by co-authoring the book, The Road to Success , with Jack Canfield. Through the experiences of his distinguished corporate career, he has served in various capacities, including Chief Operating Officer and Chief Financial Officer for Fortune 500 financial institutions. 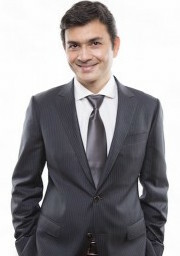 He is an international business leader with over fifteen years experience in multiple locations across Asia Pacific, within Financial Markets, as well as the international and consumer banking world. His expertise extends to significant strategic change management through market growth cycles, business growth and contraction, risk and control management, financial management, and client engagement. Starting as an accountant for PWC, Danny performed COO and CFO roles with oversight in the retail, commercial, wholesale, and investment banking sectors. These opportunities have allowed him to live in some of the most exciting cities in Asia Pacific, including Tokyo, Manila, Hong Kong, Karachi, and Shanghai. His employments include ABN AMRO Bank, Royal Bank of Scotland, Standard Chartered Grindlays Bank, and ANZ (Australia & New Zealand Banking Group). Danny specializes in cross cultural engagement and leadership, executive coaching, high performance team coaching, and he is a motivational speaker in corporate settings and at universities, and TEDx. His proven track record in business includes stellar results in: risk and control turnaround; integration; and, divestment of merged or acquired businesses across dispersed geographies. Despite having much of his career focused in the corporate world, Danny has a much greater calling in mind. His purpose is to inspire and empower others to become successful through leading happier and more fulfilling lives and becoming the best version of “themselves”. As a qualified Life & Executive Coach, Speaker, and Trainer who has been mentored by Jack Canfield—co-author of Chicken Soup for the Soul series and The Success Principles—Danny is endlessly passionate about helping to develop the human potential that all people have. He spends a large component of his time coaching and mentoring others, using his relevant industry experience and insight to help others become successful. His strategies are time tested and effective; his keynote talks and coaching sessions leave attendees with inspiration and calls to action to become the best version of themselves. He continues to believe in experiential training and coaching that lends to transformational breakthroughs in key areas of their life, including career, finance, relationships, health, and well being, personal growth, and contributions to society. Having been born in Pakistan, Danny belongs to the Zoroastrian (Parsi) community and presently lives with his wife and three daughters in Shanghai. He believes in being a universal citizen, treating everyone alike with no distinction in ethnicity, culture, faith, and nationality. Danny practices meditation and enjoys a good workout & listening to music. He loves to travel, particularly to places with white sand beaches. He enjoys experiencing different cuisines, and meeting new and interesting people. Connect with Danny at sundans6@yahoo.com and at www.pathtopurposedk.com or on LinkedIn: www.linkedin.com/in/danny-r-khursigara-1118785. DNA Films® is led by four-time Emmy® Award Winning Director and Producer, Nick Nanton and Emmy® Award Winning Producer, JW Dicks. Dicks and Nanton have produced multiple award winning films including Visioneer: The Peter Diamandis Story, Esperanza, Mi Casa Hogar and Jacob’s Turn. Their productions have won several Emmys and together they have been awarded more than a dozen Telly Awards for excellence in television and film production. Combined, they have produced and directed more than 500 television episodes and dozens of films.